If you live in Northern Ireland, you’ve probably tasted a Yellow Door scone or loaf. Owner Simon Dougan is obsessed with properly-made bread and bakes. 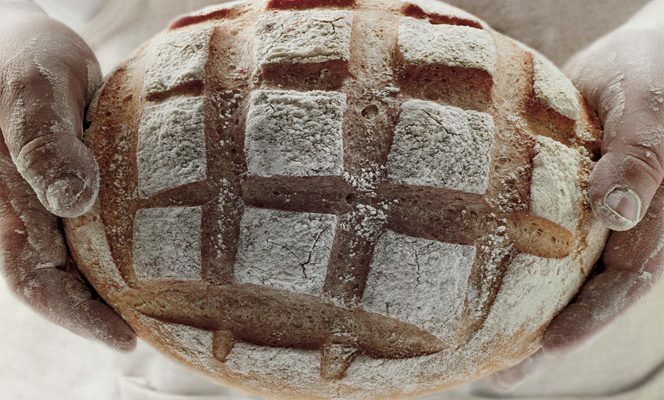 He and his team are true artisan bakers who produce their breads from top-quality, untreated, unbleached flour, natural fats and oils, free-range eggs, Irish milk and buttermilk. They don’t believe in using chemical yeast enhancers or preservatives. They also do delicious patisserie, traditional cakes, tarts, gateaux and tray bakes as well as special occasion and birthday cakes. There’s a range of options for outside catering from finger food to full-on banquets. They cater in all sorts of different venues, from castles to marquees, national trust properties, public buildings, family homes and great big fields!